In the Real Celebrations series, SoKind asks registry users to share a bit about their celebrations. Read on for a collection of inspirational ideas! In Their Words: Brian and I got engaged while on a backpacking trip, and I am so glad we had a few days to ourselves to enjoy just being engaged before the wedding planning began. 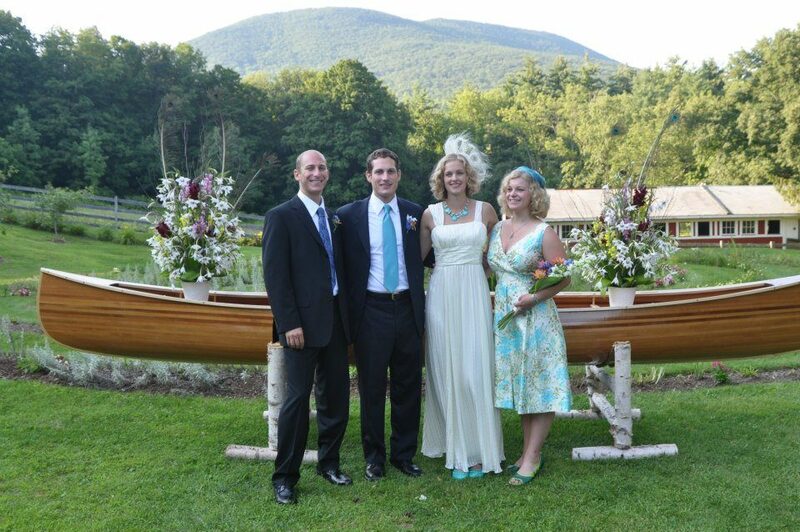 We really wanted a wedding that would be environmentally-friendly, and where we would get to enjoy time with our friends and family. Most Meaningful Moments: Having everyone we loved in one place to celebrate with us. All the little touches that made the wedding ours – my sister singing the recessional, the flowers from my neighbor’s yard, a friend decorating the cake. 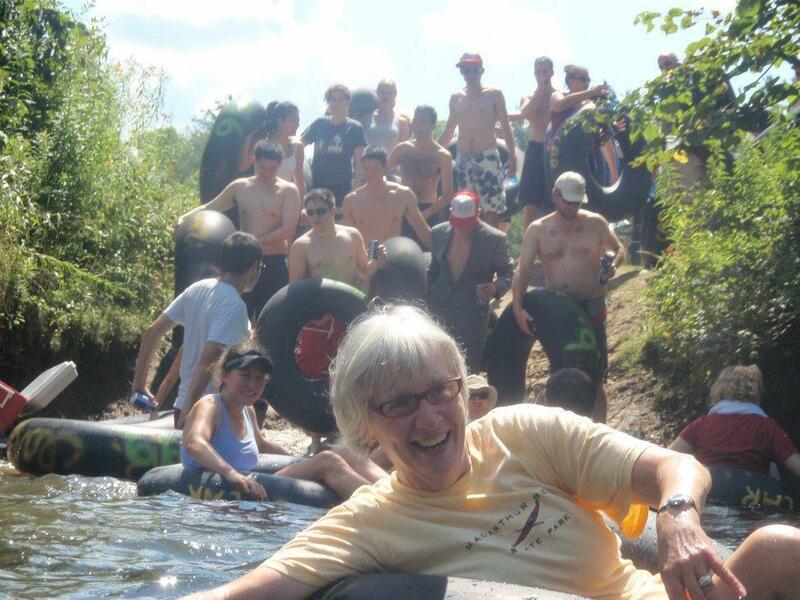 We spent the morning of the wedding tubing down a small river with 80 guests. It was fun and mellow and a great way to spend quality time with so many people we don’t get to see often enough. SoKind Gifts Received: We asked for pottery from a local artist, a wool blanket from the backcountry canoe tradition, help at the wedding, nonprofit donations, and art by friends. 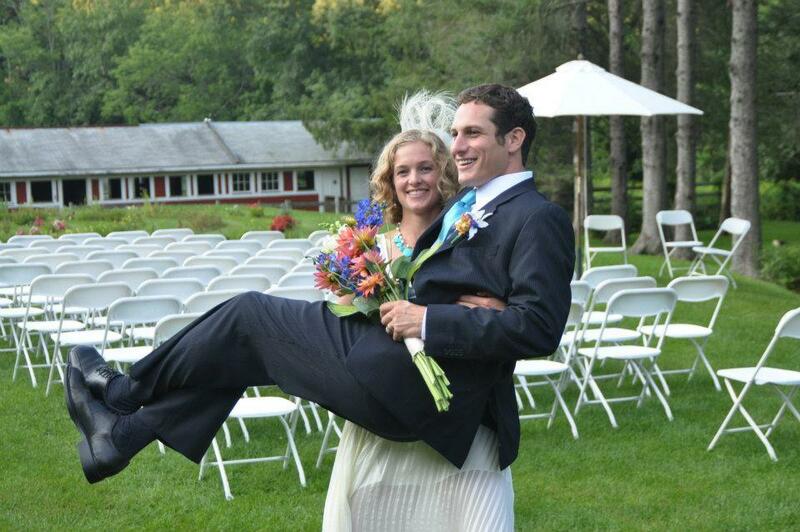 We also asked for a romantic getaway at guests’ homes or second homes, and got two amazing vacations – one in Maine and one in New York City to enjoy during our first year of marriage.